Personalized leather dog collars and leads, small dog harnesses in pink and blue for male and female pups. Our dog walking accessories are made to turn heads, for style conscious owners who want their beloved pup to stand out from the pack. Our four-legged friends deserve the best. 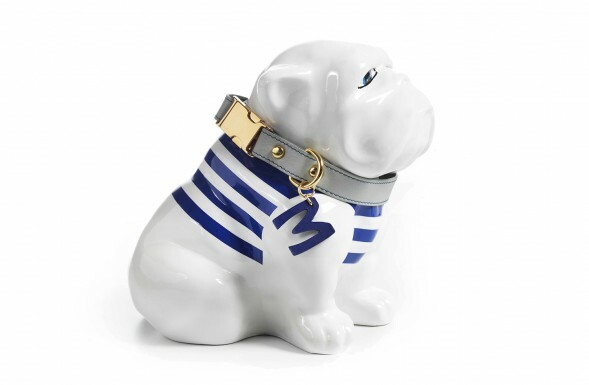 Like a custom dog collar beatifully made in Italy with premium leather. 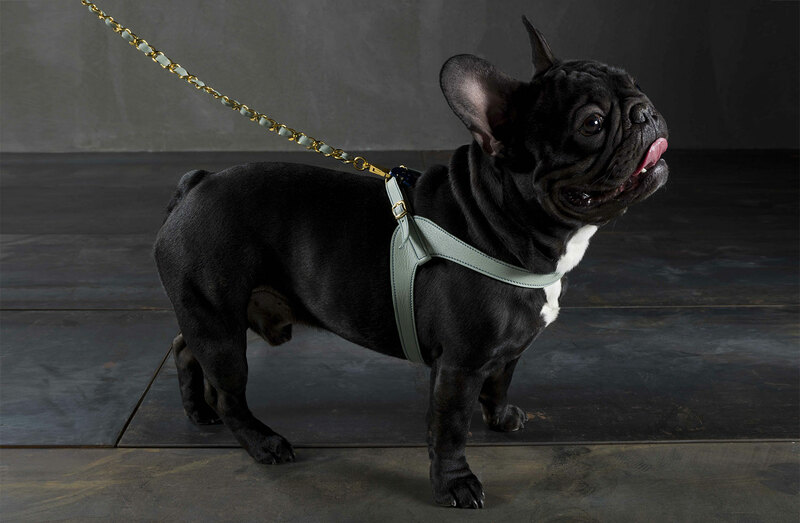 A great blend of fashion and craftsmanship, the Monogram collar, harness and leash match perfectly. Constructed to last a lifetime, they feel lovely to hold and wear. 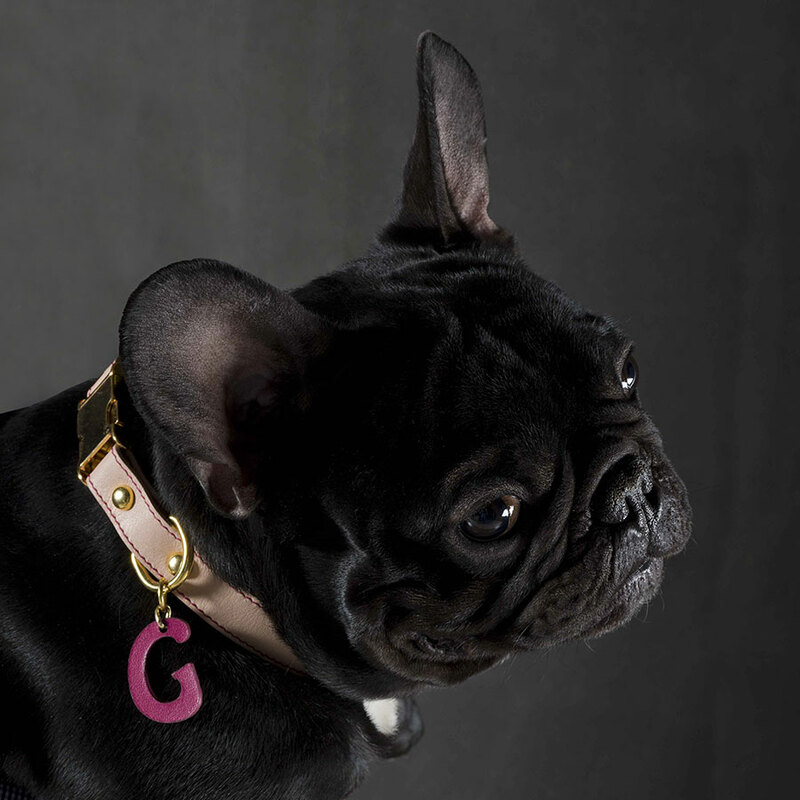 Monogram is a luxury pink leather dog collar for small and medium breeds, personalized with your pet’s initial and detailed with brass quick-release buckle, D-ring and adjuster. The Monogram designer turquoise dog collar is beautifully crafted for small to medium sized dogs, with golden quick-release buckle and personalized charm with your pup’s initial. 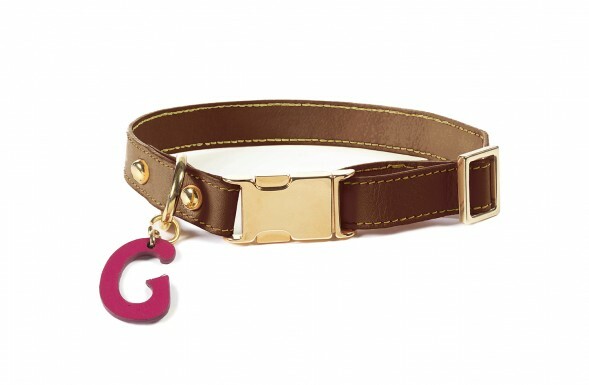 Monogram is a custom dog collar in brown leather, with brass quick-release buckle, d-ring and adjuster personalised with you pup's initial. Designed for the fashion conscious owner. 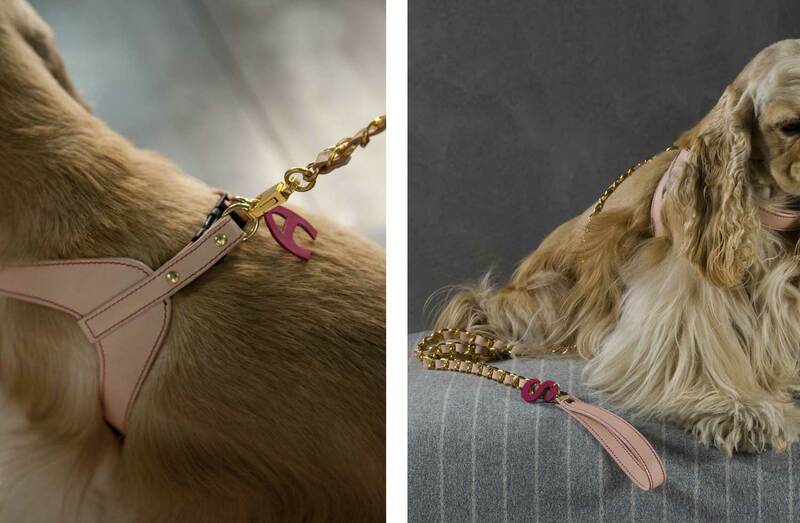 The Monogram luxury pink leather dog harness is a designer accessory for small and medium dogs, with quick release buckle and golden D-rings to attach the lead. Comfortable, easy to fit and fashionable. Monogram si a luxury leather dog harness for small and medium sized dogs, with quick release buckle and golden D-rings with pup’s initial charm. 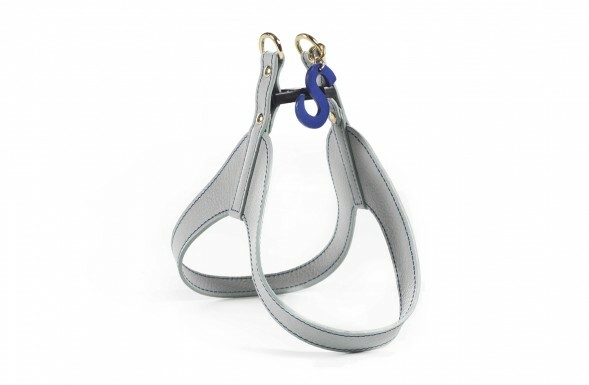 The turquoise blue leather design is a great choice for a male dog. 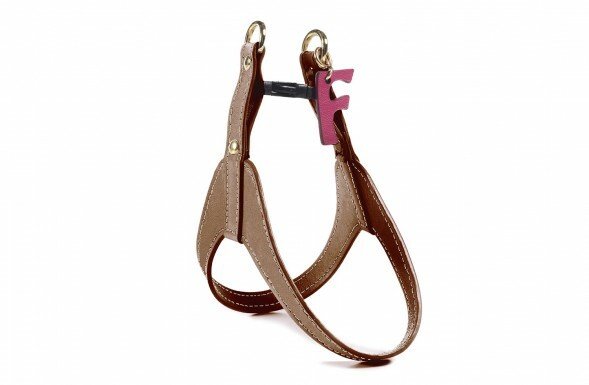 The Monogram personalised dog harness in premium brown leather is a luxury walking accessory for small and medium dogs, with brass quick release clip and D-rings for lead. 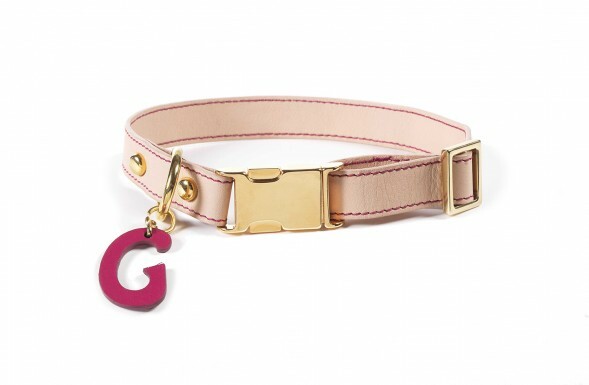 Monogram is a designer pink dog lead you can personalize with your pet’s initial charm, made with beautifully crafted leather, golden chain and trigger hook for quick release. 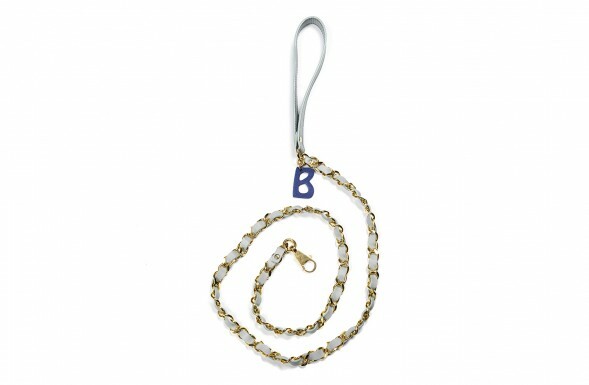 Monogram is a personalised leather dog lead for small and medium pups, crafted in turquoise leather and golden chain, with quick release trigger hook and blue initial charm. For style conscious owners. 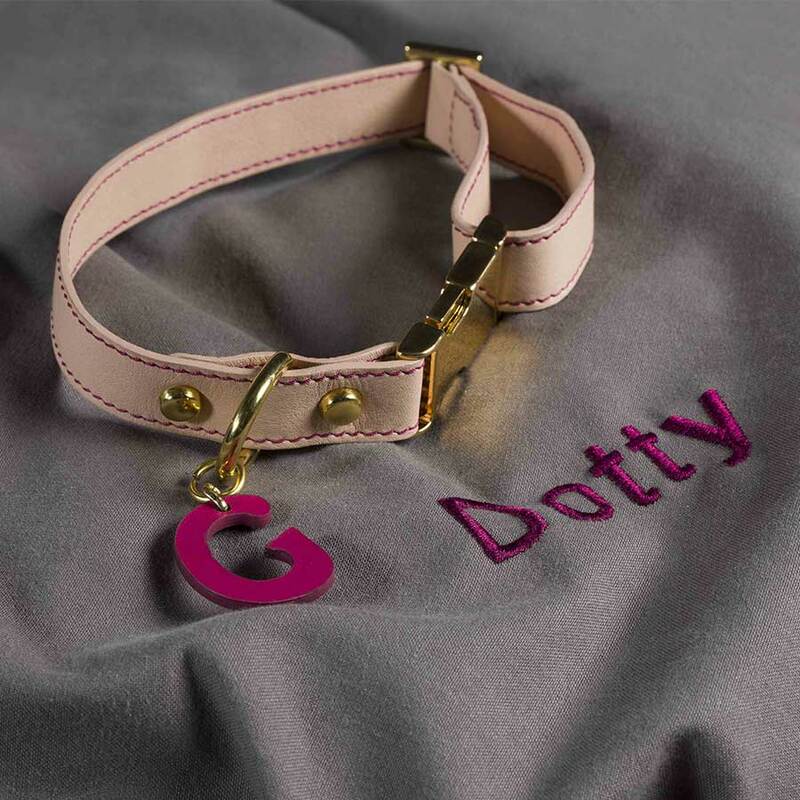 Monogram is a custom leather dog lead with personalised initial charm. 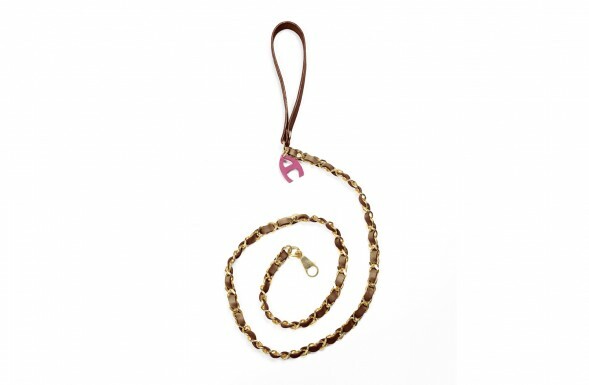 Luxury brown leather and gold chain design ideal for small or medium breeds.